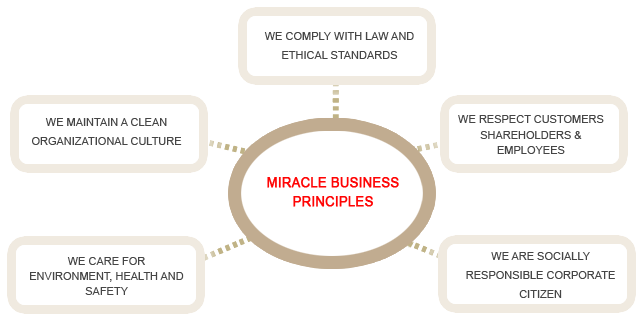 At Miracle we follow simple business philosophy to devote our talent and technology to create products and services that contribute to a better global society. Miracle has a rich heritage and culture. we believe that living by strong value is the key to good business. At Miracle, a rigorous code of conduct and these core values are at the heart of every decision we make.